Bio Matrix Inc. | About | Bio Matrix Inc.
We are a North Carolina based Pipette and Balance Repair and Certification Company. 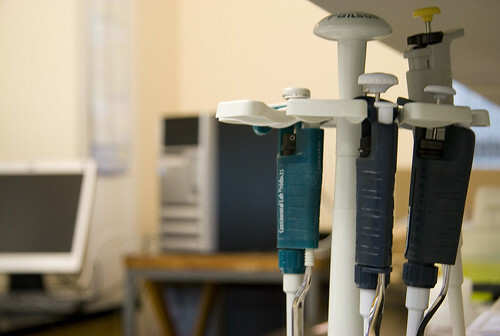 Our technicians have 30+ years of combined experience servicing single-channel and multi-channel pipettes and repeaters from various manufacturers such as Rainin, Gilson, Eppendorf, Hamilton, Fisher Scientific and more. Our technicians perform in excess of 50,000 calibrations and 10,000 repairs for over 500 satisfied customers each year. We use state of the art Mettler Toledo, 5 Place, Analytical Balances to provide these services with the highest quality available in the marketplace. Click here to schedule a service call today. We provide services to the research community throughout the United States. Our clients include both public and private institutions such as Harvard University, MIT, Johns Hopkins University, University of North Carolina, Duke University, University of Virginia, University of South Carolina, University of Alabama, Charles River Labs, Aldagen, Beth Israel Deaconess and many more. Click here to see what our clients have to say about us. We make every effort to reduce our impact on the environment. As we make improvements to our processes, we have reduced the usage of paper by reducing flyer distribution. We also offer to provide electronic copies of our brochures, invoices, certificates, and other documents. Please use our Service Alert form to the right to sign up for email notifications of when a technician will be available in your area for repair or calibration of your pipettes.